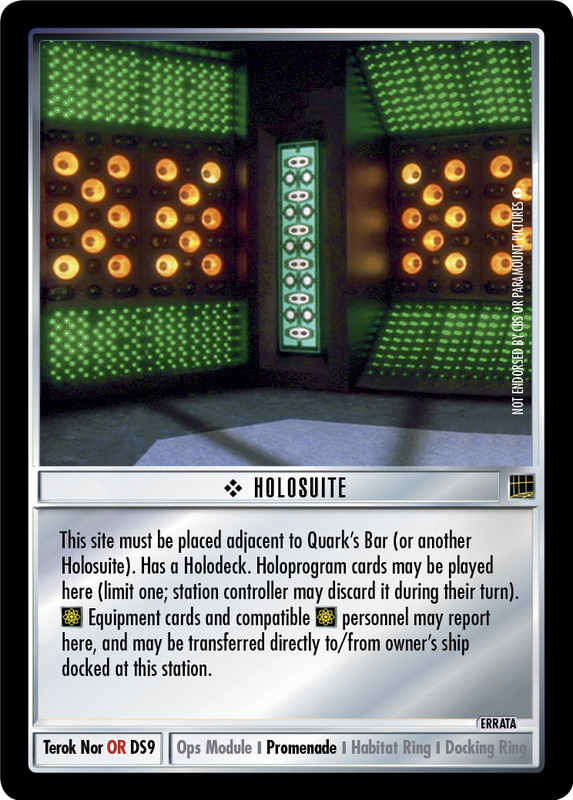 This site must be placed adjacent to Quark's Bar (or another Holosuite). Has a Holodeck. Holoprogram cards may be played here (limit one; station controller may discard it during their turn). 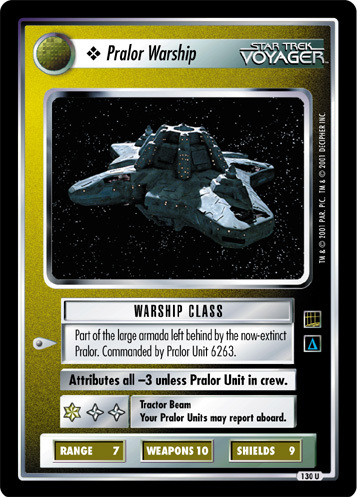 Equipment cards and compatible personnel may report here, and may be transferred directly to/from owner's ship docked at this station. Image Source: Deep Space Nine: "His Way"